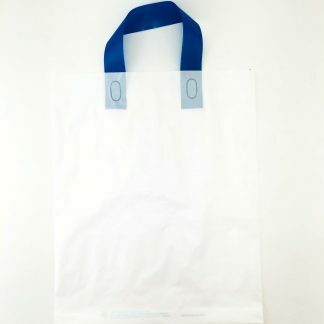 Loop Handle Carrier Bag for Bulletin Boards and Charts. Our bulletin and chart bags are made of strong 2MIL High Density Polyethylene with welded loop handles. Each of the bags has an expandable bottom gusset which makes it easy to accommodate bigger items. 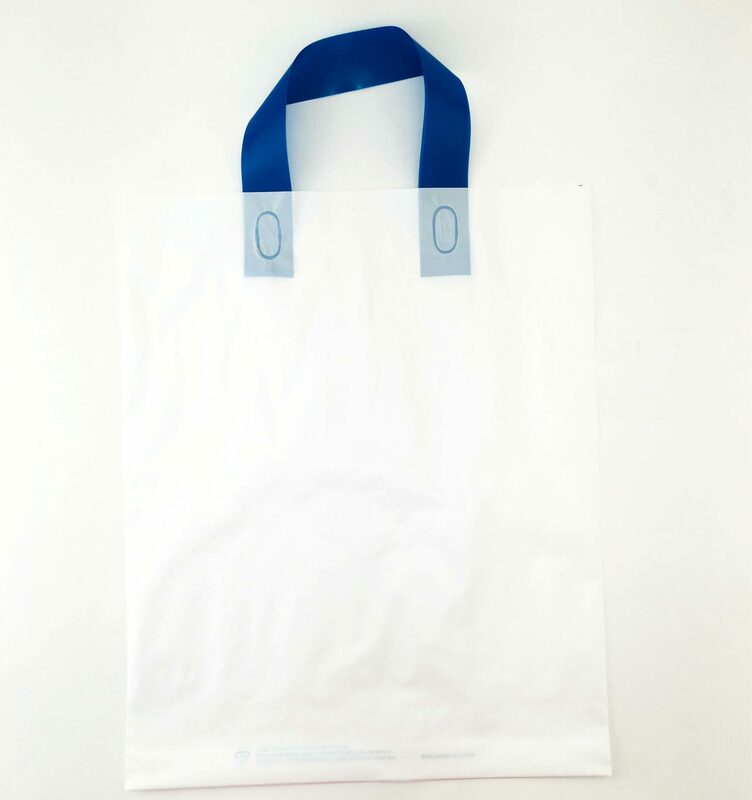 All sizes are with white film and a blue handle.